Motorola's Droid Bionic Having a Memory Crisis? 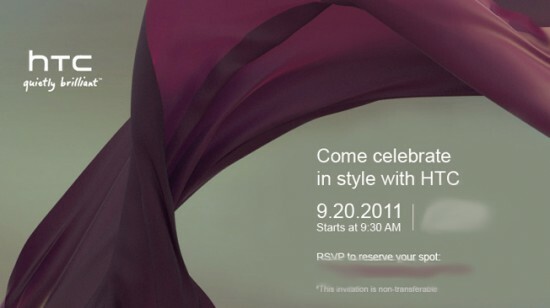 “Come celebrate in style with HTC” that’s what was printed on an invitation sent out by HTC. There are two big devices that could possibly be released on this day. This phone is also suppose to be the debut phone featuring Beats audio. This phone makes sense because its very anticipated and should be released sometime in October. Another phone that makes a little more sense tying into the whole “Come celebrate in style with HTC” phrase. With NYC fashion week close to this date is HTC going to release a more girly phone? The HTC Bliss. Well stay tuned and check back as we will update this as more details arrive and we will have details after the event takes place.